Our Munchkin - the husky little brother of item #1014 Elf - is likewise a shorter matchbox type. Each box contains 21-22 mini 1.5" sticks with a choice of 16 match tip colors. 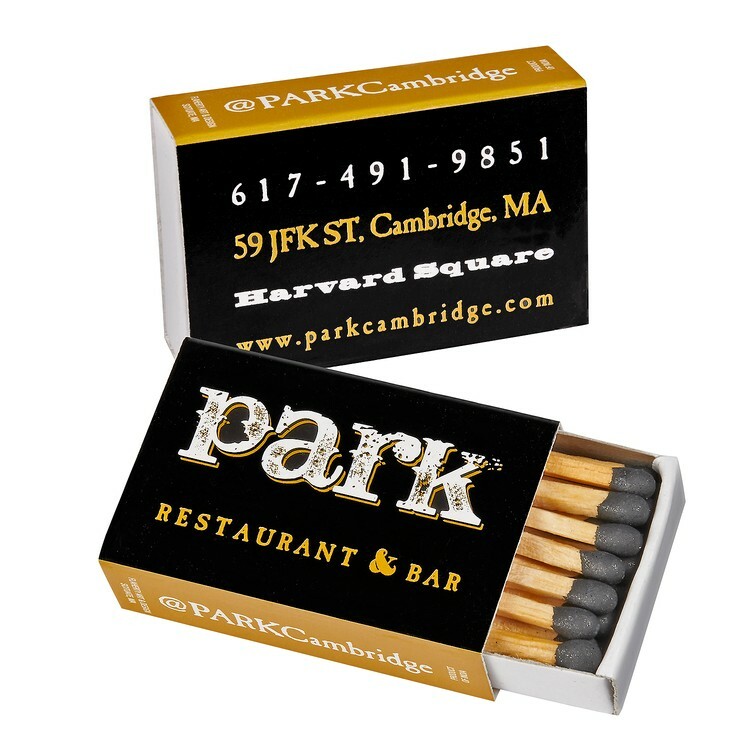 Vest pocket-sized, the compact shape is a retro design that attracts eyes at any restaurant, bar, lounge, or hotel lobby. Dare to look backward in time and be different again. "Base Price" includes 1-color imprinting on 3 sides of outer cover & UV gloss coating. Holding 1.5" petite sticks, our slim and square-like Elf matchbox is smaller than standard, and so it stands out. 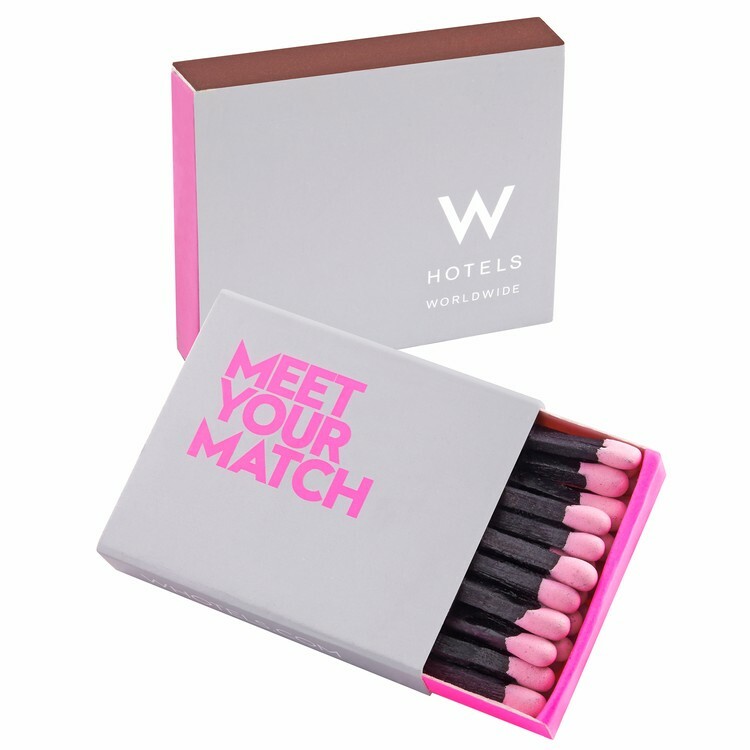 Each box contains 21-22 short sticks with a choice of 16 match tip colors. From a cool lounge in Hollywood to a hotel in London to a retailer in New York, the Elf box sees its share of posh branding. It's all about taste with this one. "Base Price" includes 1-color imprinting on 3 sides of outer cover & UV gloss coating.